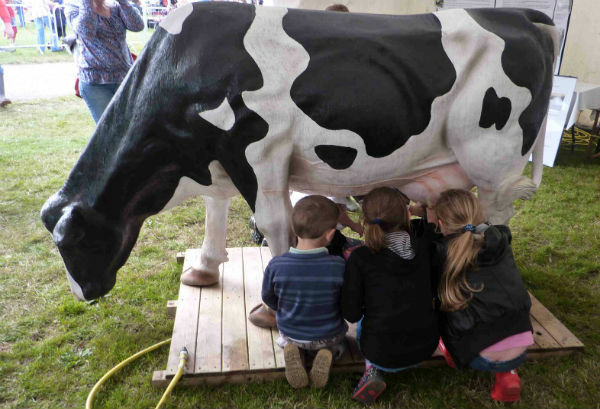 Bessie is a full size model cow and provides our visitors with a “hands-on” milking experience. This forms part of our dairy timeline which demonstrates the full cycle of butter and milk product production. Bessie is a regular visitor to many local agricultural shows and events. A great favourite with young and old alike, come and see Bessie soon. To hire Bessie for your event contact Rita at the museum.